In our classes at Strength Ambassadors, new members often ask us which are the best shoes for weight training. 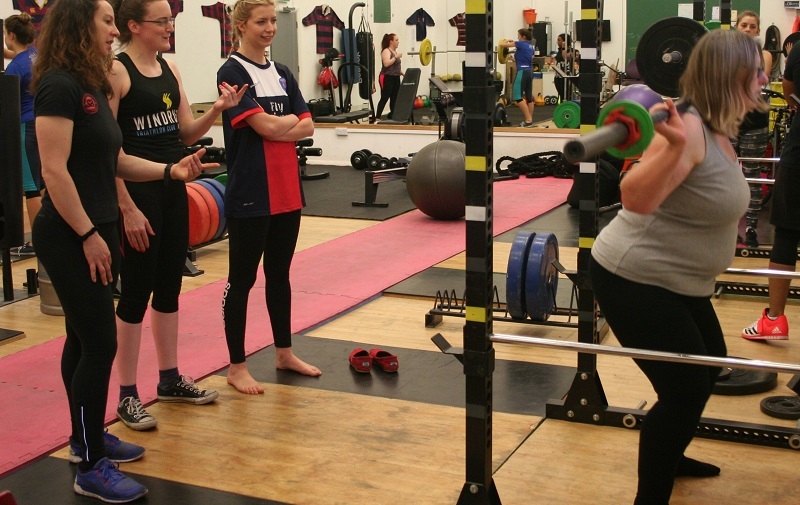 As a new lifter, it can be confusing to work out what to put on your feet to get the most out of your training. So let us take you through the important points to consider when deciding on the best shoes for weight training. What is happening on your feet when you lift can have a big impact on how you perform a movement and, ultimately, the amount of weight that you are able to move. Success in a lot of lifts directly relies on you putting force into the ground through your feet. This is most obvious in a movement like the deadlift, which relies on the ability to push into the floor to move the weight. It’s equally important in some other less obvious exercises. In the bench press, for example, creating a solid base of support with your feet will help to stabilise the legs and torso. This in turn provides the foundation and full body tension needed to maximise the weight that you can push with your upper body. Lower body stability can be greatly improved by maintaining a “tripod foot”. This is when your foot has three points of contact with the ground, at the first metatarsal head, fifth metatarsal head and the heel, and you remain balanced over the three points. Exercises that require a high degree of stability to perform, for example split stance or single leg lift variations, will often show right away whether a lifter tends to have any issues rolling to the sides of the feet (pronation and supination) or onto the toes or heels. Whilst many muscles in the feet, leg and hip are responsible for creating stability in a movement, we can give ourselves the best chance of success by lifting in footwear that makes it easy for us to create this favourable tripod foot position. In general, shoes with bouncy padding, such as running shoes and crosstrainers, whilst good for activities that require shock absorption, are not ideal for lifting. The cushioning adds to instability and makes it difficult to maintain contact with all three points of the foot. We often have newer lifters remove their padded shoes in class to try an exercise barefoot -and usually see an immediate improvement in their form! However, most people understandably prefer to wear a shoe to protect their feet from the inevitable gym grime and any stray weights. The best shoes for weight training will have minimal padding, enough room for your foot to spread naturally and be fairly flat, with a limited drop from heel to toe. There are plenty of options on the market that fit the bill so when choosing a new shoe it’s a case of working out what suits your individual foot, style and budget. We’ve put together three suggestions, based on the shoes that our coaches and clients like to wear to workout at Strength Ambassadors. 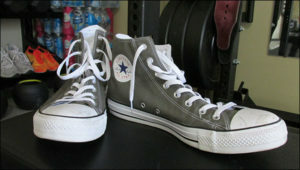 A well-fitting simple plimsoll-style shoe is a solid option for the weight room and very budget friendly. Whilst Converse are worn and loved in gyms across the world, non-branded shoes are cheap and can work just as well, especially for beginners who are working out what they want before investing in a more expensive shoe. No article about shoes for lifting would be complete without a mention of this iconic shoe. Barefoot or minimalist style training shoes are great for lifting. These tend to have a low heel drop, low stack height and wide toe box. Vivobarefoot, Merrell, Inov8 and New Balance are the key brands to look at for this type of shoe. Now on version 7, this shoe is designed for strength training with input from world-leading strength and conditioning expert Eric Cressey and provides a great combination of style and practicality. Older versions can sometimes be found online at significant discount. Nike and Reebok are the market leaders in Crossfit shoes and their Metcon and Nano models also work well for general strength training. 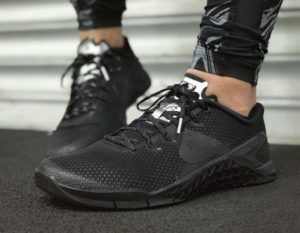 These shoes, now on version 4, are at the pricier end of the market but their availability through Nike’s iD “design your own” service makes them a great choice for the style conscious lifter. There is no one best shoe for every lifter. So if you’re looking to invest, try some on and see what works for you and your feet. Don’t be shy about doing a few moves in them in store or at home to help you work out if they are suited to you. Your footwear is an important part of your gym experience and it’s worth getting it right. Is your deadlift stance too wide?